As we age, the questions and options we face grow more complex and confusing. Managing medical issues, finances, where we will live and how to maintain quality of life requires thoughtful planning. Too often, seniors or their families turn to an elder law firm at a time of crisis, when incapacity, illness, housing or mobility concerns require immediate action. 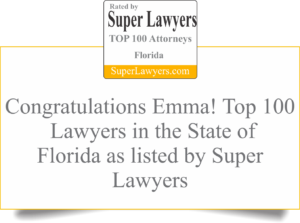 Life Care Planning is a relationship between the law office of Emma Hemness and your family that offers the support, guidance and direction you need to face the long-term care journey with confidence. We take an anticipatory approach to the health, safety, well being and quality of life of elders and their families. Expanding the options for care, we bring together a compassionate team of advisors; experienced Elder Law attorneys, care coordinators, public benefits specialists and staff, to identify current and future needs and create a detailed roadmap for the future. 1. Ensure appropriate care at home or in a residential facility that will maintain quality of life. 2. Identify public & private sources to pay for long-term care while addressing cost related issues. 3. Provide peace of mind that the right choices are made while preserving family resources. To assist seniors and their families in providing and paying for a continuum of care, we develop a custom program that will help elders maintain their independence to the greatest extent possible, and assure that their families are not unduly burdened in caring for their loved ones. Life Care Planning educates, defines, organizes, prioritizes and mobilizes every aspect of care, including asset preservation, estate planning, public benefits qualification, advocacy, legal representation and care coordination to ensure seniors and their families find the right options, support and services to secure their peace of mind. Our comprehensive approach examines every available option, including Social Security, Medicare, Medicaid, Veteran’s Benefits, Community Resources, Family caregivers and private funds. Comprehensive estate planning including wealth preservation and asset restructuring (using deeds, trusts or other transfer mechanisms as may be appropriate).